Christi’s philosophy is that training should be incorporated into the dog’s daily routine and combined with play and motivating activities, as well as through structured lessons. Christi now offers individual training for you and your dog. She will teach you how to integrate training into your regular day and make it fun and rewarding for you and your dog! Depending on your goals, Christi will develop a training plan for you. The more you work with your dog between lessons, the faster you will progress. Christi will work with you and your dog one to one to teach basic manners such as how to walk without pulling, sitting and waiting patiently, not jumping sit/stay, down/stay, come when called, basic housebreaking and socialization. This is for dogs of all ages. Minor behavior problems such as jumping, pulling, excessive barking and chewing can be addressed. Christi will teach you and your dog how to refine and become more precise in heeling, sit, down, stay, and come. This will prepare you for competition in Beginner Novice. 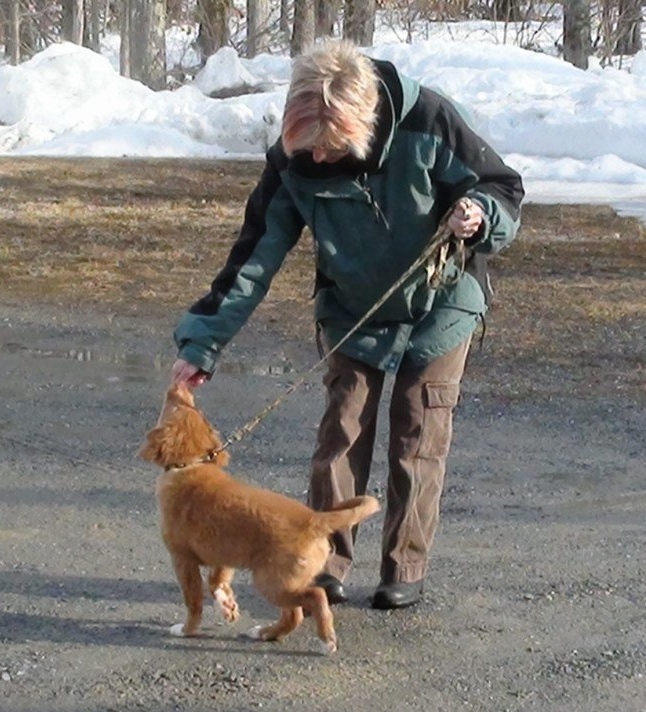 Christi will teach you and your dog the basic obedience skills your retriever will need to be a good hunting companion and be steady at the line. Skills include right and left sided heeling, heeling on and off lead, recall, sit/stay, fetch, hold and basic steadiness drills. For more information about scheduling and rates, contact Christi.